Your home for Used Office Desk Houston! Have you been considering buying used office desks Houston, but then run short of ideas about how to begin? Well, do not be overwhelmed by the dozens of options available out there. 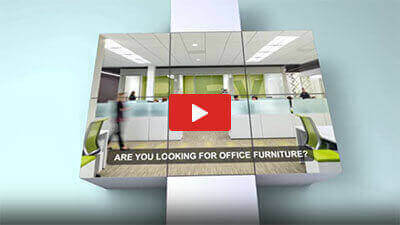 As Houston’s used office furniture experts, Clear Choice Office Solutions will walk with you through the tedious process of furniture purchase. Office furniture should be adaptable to your given décor and the amount of work space available. No matter what size desk, laminate or veneer, we are your home for used office desks Houston. Paperwork-work stations that generate plenty of paperwork require desks that provide sufficient space for the bulky books, huge piles of papers, or spreadsheets. Desks that have overhead cabinet or shelving space will also suffice. Computer work-if your work mostly entails computer work then it would be prudent to buy a desk designed specifically for computer use. The desk should come with a space or a compartment that will hold the CPU underneath. Furthermore, there should be built-in wiring channels or holes for safe keeping of electrical connections. Paperwork, computer work, and meetings-an office that requires a combination of all these will find an L-shaped desk most useful. The more expensive U-shaped desk will also provide the best solution and portray an impressive presentation to guests or clients. Home office-the best Office desk in Houston for a home office would be the L-shaped desk. It is ideal for small offices and still provides sufficient space for your computer and essential office items. How will you use your Used Office desk Houston? Bench desk-a great choice when it comes to office desk. They are usually rectangular, table or goal post in design. They tend to be smaller and cheaper when compared to corner desks and are ideal for modern open plan work stations. Their ability to work together and the fact that IT equipment now occupy less space, makes this option more popular. Wave Desk-this is still popular in the market. It is a large desk that has one wider side and was initially designed for CRT monitors. If your company requires plenty of workspace, leg room or simply desire lots of space for integrated usage, then this option would suit you best. They are not ideal for those who have small offices or do not need plenty of workspace. Writing/Home Desk-an excellent choice for offices that demand compact and minimalist Office desk Houston TX. Ideally designed to fit against walls and most of them feature an inbuilt storage solutions. They are a great option for bedrooms or study’s and not ideal for main workspaces that utilize desktop computers or demand lots of space. Corner/Radial/Workstation-these are simply office desks designed to fit into a corner within a room. They usually come in “L” shapes and are available in left and right hand variations. They are ideal for utilizing every bit of available space within an office. What about the office desk Surface? Wood or veneer-desks that come with veneer or wood surfaces tend to be most elegant and expensive. They are also more delicate and nick more easily. They are therefore not ideal for rough or heavy usage. Steel or metal-ideal for heavy usage and areas that is characterized by heavy traffic. They are the most durable and come at a reasonable price. Its downside is that it does not look most professional. Laminate-a popular choice in the market. It is durable and lasts longer when compared to wood or veneer surfaces. It is also affordable and is available in a wide variety of colors and wood grain patterns. A desk with a thick and high pressure laminate is the best choice. There should be sufficient clearance for your legs. 29 to 30 inches of desk height will be ideal for most users. Those who use computers should ensure the keyboard is well-positioned to avoid discomfort and muscle strain. There must sufficient space for holding the computer and all its peripherals. Proper spacing-the desk should be 3-feet away from the next piece of office furniture. Those sitting behind the desk should have at least 3 and half feet of space between them and the desk. The client or guest chair should be 3-feet away from the desk. If you have a desks that has sharp edge, place a wrist pad along the edge so as to avoid unnecessary pinching and pressure on your wrist’s inner surface. 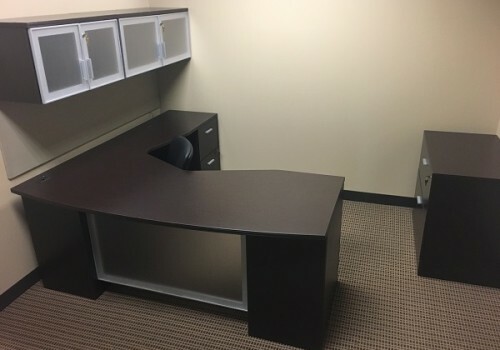 Used Office Desks Houston at a price you can afford! You can never go wrong if you get the best quality Houston TX office desk. The quality can be easily ascertained by simply looking at the construction of drawers and warranty information. Excellent quality desks have good quality drawers that feature an interlocking construction. The corners and the edges should also be free from fraying. You can also easily tell its quality by evaluating its warranty. A comprehensive warranty or lifetime offer can be an obvious sign of a good quality desk. Getting the best used office desk Houston is the desire of every buyer. Take advantage of the numerous options available in the market, many of which are available at affordable prices. Consider the tips above to get a comfortable, ergonomic, and productive office desk. The experts at Clear Choice Office Solutions can help you make an informed choice when it comes to excellent quality Houston Texas office desk. Buying quality used office desks from Clear Choice Office Solutions ensures a quality, long-lasting product at an affordable price. We offer brand-name used furniture at a low cost. Financing is also available.